At this Utah event, our modern entertainment technology received a Mayan makeover. 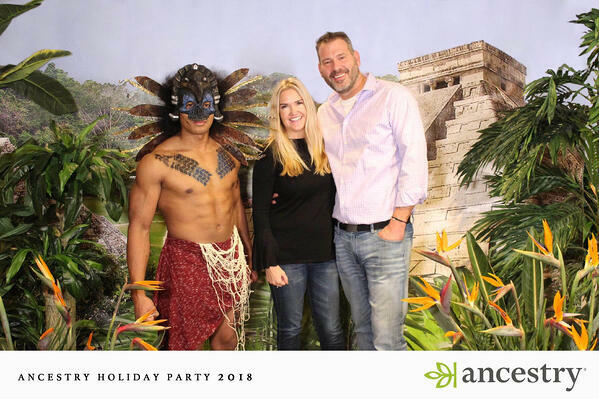 There is no venue, or event, that a TapSnap photo booth can't fit into, including an ancient Mayan inspired holiday party at a Natural History Museum. Salt Lake City event design and planning firm, Marae Event Management, organized Ancestry's annual holiday party in December 2018. Every year the Ancestry team choose to have their party at a different location, this year they chose to host their 1,200 guests at the architecturally striking Natural History Museum of Utah. In keeping with Ancestry's mission, connecting their customers with their past through genealogy, the theme of the night was "Step Back Into History". Elise DeLeon and Sarah Tucker of Marae Event Management told us that they "loved the opportunity to design and create something different than the standard norm". They ended up taking inspiration from the Mayan exhibit at the museum to put together this beautifully detailed event. Marae Event Management opted to add TapSnap to this holiday party to add some dynamic and interactive entertainment to the event, with the added bonus of creating a souvenir for the guests. To have the photos reflect both the festive aspect of the party, and the Mayan theme of the night, TapSnap's Salt Lake City Event Expert, Chris Teerlink, and his 2 staff members, provided 2 photo booths, each creating a different themed photo, but with one cohesive branded overlay for all the photos. One photo booth was set up with a green screen, providing guests with photos that placed them in front of a christmassy fireplace or palm trees adorned with string lights, to get the guests into the holiday spirit. The second photo booth snapped photos of guests between a backdrop of an ancient Mayan Temple and exotic plants, featuring vibrant bird of paradise flowers. Never ones to miss an opportunity for minute detail, the ladies at Marae Event Management also hired a Mayan "troop" in traditional regalia to pose with the guests at this photo op. TapSnap was such a hit there was a continuous line-up of people waiting to take their photos throughout most of the night. 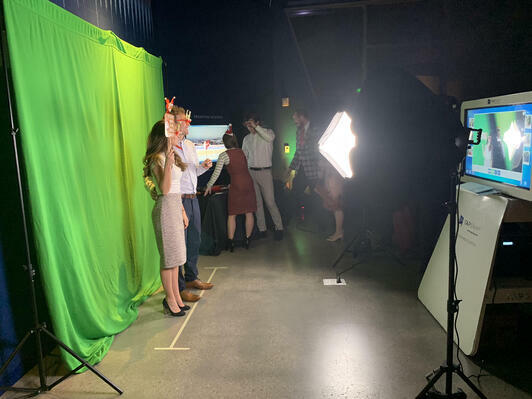 The popularity may have been partly down to the fact that all the photos taken at the photo booths were displayed via SnapCast on a 50ft tall screen in the main entertainment hall of the museum for everyone to see! When asked how he felt the event went, Chris let us know that "TapSnap in conjunction with a live DJ, and delicious food ensured that each guest had a memorable time. Overall, the Ancestry event was a huge success and will surely be a night to remember for many years. 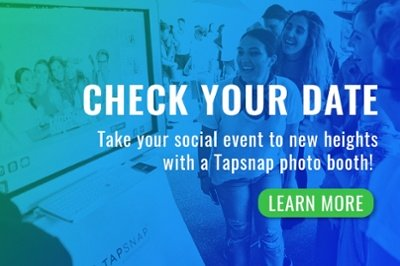 Elise and Sarah with Marae Event Management were amazing to work with, and TapSnap had a fantastic time being a part of the party. I look forward to many amazing events in 2019!" We're looking forward to serving more stunning and creative events in 2019, will yours be one of them?